This is a granny square that I am making for my January swap partner on Ravelry. It is made of cotton and tencel yarn. Very soft. 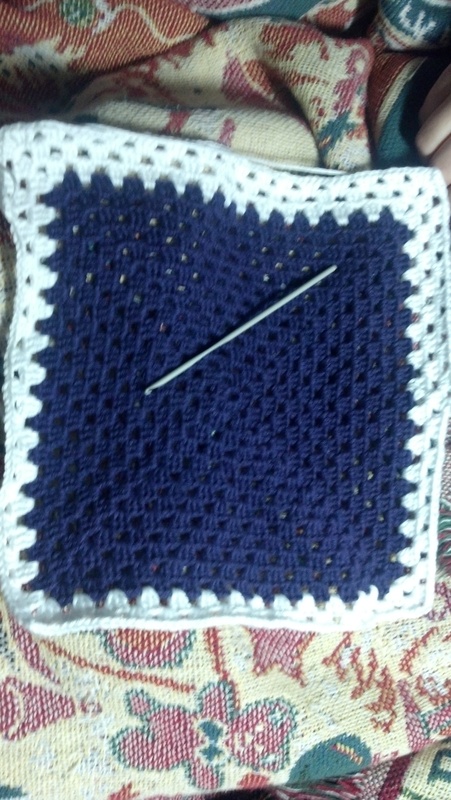 It will be 12 inches square when it is done. To learn how to make a granny square google “granny square pattern”. It is a standard pattern.